DR PETER Bartlett, the American chief executive of Bapco, is taking a measured approach when considering the strategic decisions and capital planning that will guide the national oil company on behalf of the National Oil and Gas Authority (Noga) through the years ahead. Bartlett confirmed in an exclusive interview with OGN that Bapco’s strategic goals remain firm in advancing the multi-billion dollar Bapco Modernisation Programme (BMP) providing important kingdom investment expectations are met. These long-term expansion and investment plans reflect Bapco’s ambitions to remain competitive and responsive to oil market conditions to continue in its traditional role as a key contributor to the Bahrain economy. It is very much business as usual for Bapco with the Board, Noga and the Bahrain government set to make a final decision on the BMP expansion in 2016 which will look to increase Bapco’s current refining capacity of 267,000 barrels per day (bpd) by 100,000 bpd. The goal is how best to develop an optimum refinery configuration beyond 2018-19 that would add value and ensure Bapco remains competitive and profitable in this challenging industry segment. In this plan, Bapco’s array of refined products will move towards the middle distillates as refinery capacity grows incrementally. Bapco is looking to install bottom-of-the-barrel conversion units to reduce fuel oil yield while increasing production of more profitable fuels products such diesel and jet. This is all predicated, commercially, on what Bapco can sell in the global market and at what margin. “Within the BMP, there are essentially three key elements and goals. We seek to produce products that better match future market demand and which offer better financial returns to Bapco. These are so-called ‘white oil’ products whose value and forecast market demand offer better prospects than our ‘bottom-of-the-barrel’ slate. Secondly, our investment will make the refinery more efficient, use less energy and – by extension – improve our cost structure. And finally, the investment will meet important environmental goals intended to meet increasingly stringent operating standards and performance expectations within the kingdom. In short, we’ll make the refinery more competitively resilient against a wide range of potential market futures, extending its productive life for the benefit of Bahrain,” says Bartlett. Other energy and environmental initiatives as well as planned maintenance and upgrades are in place or planned to secure and safeguard Bahrain’s long term energy and economic goals aligned with the kingdom’s national goals. The sign-off for the building of the new crude oil A-B pipeline from Saudi Arabia to Bahrain is expected quite soon, according to Bartlett. Expected to enter the important engineering, procurement and construction (EPC) phase in 2015, the new crude oil pipeline will complement the ambitious upgrade of the refinery and result in the replacement of the existing ageing pipeline. For Bartlett, the formula of higher incremental throughput, an improved product slate (with a better margin structure), and a more robust and resilient facility is critical to Bapco given the increasing competition in the refined products sector in the near years ahead. “This is true regardless of where oil prices eventually settle out,” Bartlett says. Importantly, during this period of potentially lower crude oil prices and increasing regional refining capacity, Bartlett is looking to establish closer links with the various markets where Bapco’s product offering competes well, particularly in such fast growing markets within the GCC, South Asia and East and Southern Africa. Bartlett says Bapco had concluded term deals for a large part of its 2015 forward production at “pretty good margins”. “The vision of upgrading a refinery for the future that is optimised, reliable, more efficient and better equipped in meeting the most robust environmental standards will certainly assist Bapco to sustain its competitive position within the GCC. Remember GCC countries have made large refining investments in recent years intended to position the region as one of the world’s most important refining hubs. We’re all adding value to our raw materials (crude and natural gas). We are well into our front-end engineering and design (Feed) studies and looking to reaffirm our business and investment cases. Bapco will be in the Feed phase this year and will present our plan to our Board and Noga for a final investment decision in 2016,” he adds. An industry veteran with a career of more than 32 years across all aspects of the global petroleum industry, Bartlett has extensive experience in the downstream oil and gas sectors. 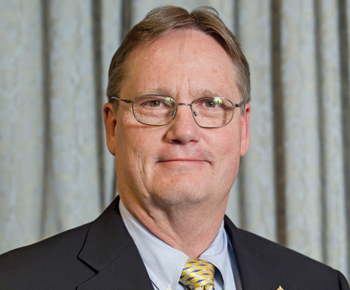 Bartlett has been at the helm of Bapco since June 2014. Prior to his key appointment, Bartlett was vice president and general manager in Chevron’s business development division based in the US. Bartlett’s career has seen him hold many positions of increasing responsibility across the energy value chain, including upstream, supply, trading, marketing, and specialty products. In his 14 years at Chevron, he held important positions in the company’s strategy, planning and business development organisations, mainly downstream including refining and petrochemical project development. He’s also been a director in a number of affiliated joint venture (JV) companies in downstream, gas and power, lubricants, specialty products and technology licensing businesses. Bartlett hails from Pennsylvania and is a graduate of Penn State University and Juniata College where he earned degrees in civil engineering and physics. Several years later, Bartlett received a masters and a doctorate in petroleum engineering from the University of Texas. He has held senior positions around the world before coming to Bahrain, his first Middle East appointment. Bartlett worked with Caltex, Chevron’s affiliate in Singapore in 2000 leading several strategic business initiatives, and then moved to South Korea for five years where he was Chevron’s senior resident director for GS-Caltex Corporation. Bapco has long been recognised as a pioneering oil company since Bahrain ushered in the Middle East oil era in 1932 with the first oil strike in Awali. Today, Bapco continues to evolve as small but important integrated company with interests across the value chain. In fact, Bapco has taken a leadership role in petroleum development being quick to adapt to a fast-changing economic environment by utilising its considerable talent and strategic foresight for the benefit of the national economy. Bartlett notes that the predecessor to the modern oil industry dates back more than 150 years to his home state of Pennsylvania. As a student of the industry’s development over this long period, he fully understands how competitive supply and demand dynamics, politics, technology and environment constantly influence and change the energy equation. Bartlett notes how the dramatic influence new supplies of oil and gas in North America over the last decade have impacted today’s oil and natural gas market dynamics, and that technology has played the pivotal role in bringing about this latest chapter in the global oil industry. Two newly opened plants in Saudi Arabia – Satorp and Yasref – will expand the kingdom’s refining capacity by 800,000 bpd in 2015. 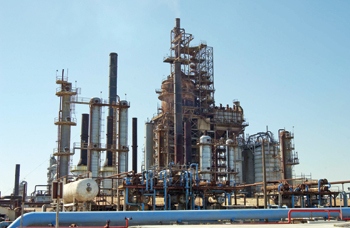 The UAE expanded its Ruwais refinery late last year, adding more than 400,000 bpd of capacity.